Can This Behind-the-Scene Activist at the Auto Show Become the First Unicorn of Connected Car? On the eve of intelligentization, several unicorns will be born in the connected car area. PATEO has just completed a series of intensive launches, to showcase its future products. “I want to book a hotel room, around 2 km or so from me, with Wi-Fi & swimming pool & parking available, and is priced around 800 yuan.” – Did it ever cross your mind that in the future such a command can be fulfilled in an intelligent vehicle by voice? In addition, your car can help you book air tickets, make restaurant reservations, and even learn about your health conditions – just like the intelligent system of the Iron Man. As inconceivable as it may sound, it’s actually not so far away. One thing that might surprise you is that it is the established auto groups like Dongfeng and BAIC who want to have this product feature so urgently. Recently, Dongfeng joined Baidu DuerOS and PATEO in launching the “Baidu DuerOS empowered AI-based IVI system – Dongfeng Fengshen WindLink 3.0”, with which these futuristic Apps are being turned into reality. WindLink 3.0 will be equipped on 100% of the whole series of the next Dongfeng Fengshen product to be launched soon, and will then gradually extend to cover all product lineups in the next 3 years. As early as 2015, Dongfeng Fengshen launched its intelligent connectivity service brand, WindLink, which led the industry with the then 27 features; in 2016, its iterated version, WindLink 2.0, was launched, which improved the experience with multiple high-frequency in-car scenarios; while this time, WindLink 3.0 will again bring about a radical change. While developing the WindLink system, engineers summarized user’s pain points with IVI system use: IVI is not easy enough to use; voice features are not handy and intelligent enough, and cannot even replace mobile phone. In fact, these problems have been addressed since the 2.0 version of Dongfeng Fengshen WindLink system, and the current version features not only highly accurate voice recognition, but also convenient functions like AI-based navigation and remote control, etc. WindLink 3.0 is jointly created by Dongfeng, Baidu DuerOS and PATEO, among which, one is a central state-owned automobile enterprise standing at the forefront of intelligent connectivity, one is a top internet firm engaged in the deep research and application of AI-based auto technologies, and the other is the largest telematics product & service provider of China. The powerful alliance among the 3 parties has created WindLink 3.0, the first AI-based intelligent voice system that possesses the ability of self-learning and is able to understand the complicated human language – hence the scenario at the beginning of this article. As a matter of fact, it is the scenario specially demonstrated by PATEO staff at the press conference before the Beijing Motor Show, during which the vehicle gave instant responses and displayed a series of pop-up menu options. You might wonder: Who is PATEO? Why is it able to stand side by side with Baidu to provide the next generation connected car products for OEMs? Founded in 2009, PATEO is now one of the biggest telematics service providers in China. In 2010, SAIC’s inkaNet was brought into reality by PATEO, marking the beginning of the connected car era. Later on, PATEO worked with China Unicom to launch the first 3G connected car around the globe; worked with Xiamen AMAP to launch the first onboard navigation system that actively avoids traffic jams; and worked with iFLYTEK to launch “the first onboard voice system, which was 9 months earlier than the Apple Siri”; in 2015, it independently developed Qinggan I.P.D.A, an intelligent IVI product. In recent years, PATEO has been focusing on the pre-installation market, has successively secured cooperation in connected car business with multiple domestic brands, including SAIC, FAW, DF, Geely and BAIC Groups, and is to establish a connected car joint venture with BAIC BJEV and Beijing Hainachuan (Automotive Parts Co., Ltd.). In the meantime, it also provides services for international brands, including Audi, Benz, Peugeot, Citroën, Porsche, Bentley, Lamborghini, Land Rover and Jaguar. 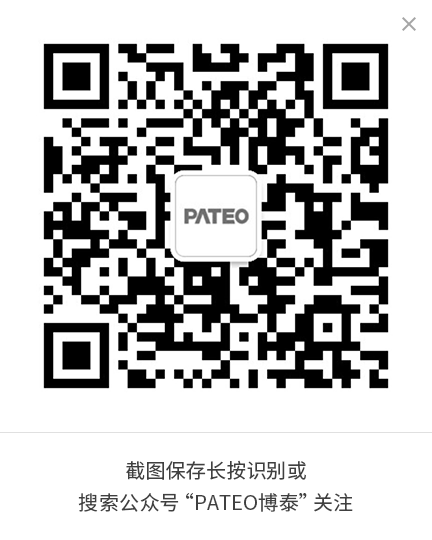 During Beijing Motor Show, PATEO was nearly one of the busiest enterprises, though not the “leading role”. The reason is that, in the era of intelligent connectivity, to ensure survival, automakers are doing their utmost to intelligentize their products, and almost all traditional auto enterprises are taking intelligentization as the main direction – this is deemed an even more favorable tail wind than new energy, with which the automotive industry will be able to be brought off to a new level. In addition to the WindLink jointly launched with Dongfeng and Baidu DuerOS, PATEO has also successively signed a string of agreements. On 22 Apr., it signed a Memorandum of Understanding for cooperation with JLR in Beijing, with the aim of jointly exploring collaboration in the field of onboard applications; on 25 Apr., when EU5, a new main sedan model of BAIC BJEV, was launched, PATEO was present at the ceremony – this product is equipped with the intelligent IVI jointly developed by PATEO and Baidu DuerOS. At Hongqi’s exhibition stand which received the most attention, the system installed in the conceptualized “Future Cockpit” is also a product from PATEO. Ken Ying, PATEO Founder & Chairman, told 36kr.com, “PATEO empowers traditional automakers mainly from three directions – the first is hardware + software + cloud; the second, software + cloud; and the third, helping OEMs build a platform with complete architecture that includes autonomous OS, cloud platform and user account, just like the iOS, ID, Siri, iCloud and App Store of Apple. From last year onwards, PATEO has completed platform-based cooperation projects with BAIC MOTOR, BAIC BJEV and DFM. The AI-based WindLink 3.0 IVI system jointly launched with Dongfeng and the intelligent IVI developed for the new main sedan model of BAIC BJEV are precisely milestones for the cooperation. Currently, PATEO has established in-depth strategic cooperation with upstream/downstream partners, including NXP, Huawei, UAES and Nuance; and has entered strategic & exclusive partnership with Baidu DuerOS, Baidu Apollo, Baidu Cloud, Baidu L3, Baidu Maps, Suning Finance, Suning Share, Suning IoT & TV/mobile phone ecosystem, UAES, BOSCH, China Telecom, Ctrip, TravelSky, iQIYI, ETCP, Umetrip, Ximalaya, and so forth. 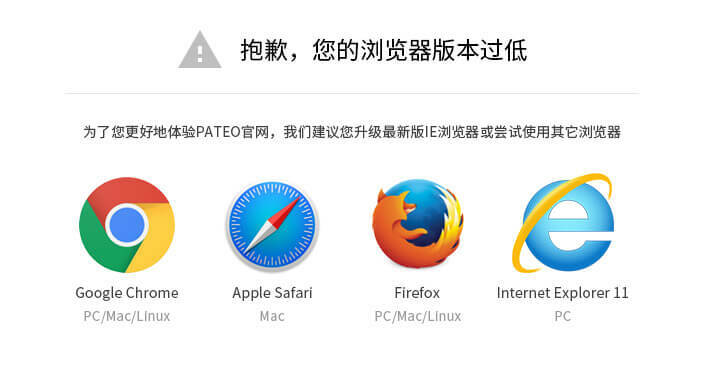 According to Ken, PATEO is now racing on the “fast lane”: boasting more than 1.1 million pre-installation users and embracing the annual high growth rates of user scale & activeness both at 100%, “Its valuation has reached CNY 8.7 billion”. On the eve of intelligentization, no one is willing to miss the waves of this transformation, be it premium brands or Chinese self-owned brands. Compared with the gigantic BAT (Baidu, Alibaba and Tencent) and OEMs, PATEO obviously attracts much less attention from the outside. Whether it is able to break through the tight encirclement and become a real “unicorn” in the context of the new technology revolution, we’ll stay tuned.